Alexandra Park festival is the biggest festival in the East End of Glasgow and is accessed by not only the local community but by people from all areas of the city. We want to increase the number of community groups involved so the festival is more inclusive and uniting. We are seeking funding to provide carnival workshops for local groups to take part in. The workshops will take places for four weeks in six local projects. 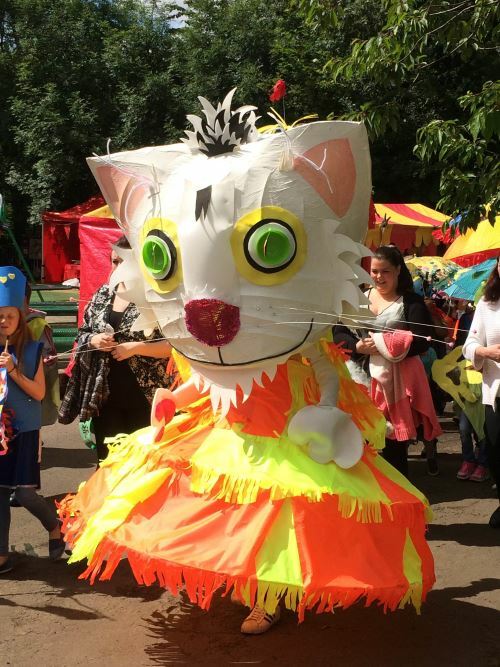 Community artists will work with group to identify a theme and provide materials to make costumes and props for the group to wear at the Carnival Parade as part of Alexandra Park festival. The project is a partnership programme with Dennistoun Community Council, Glasgow East Arts Company, Urban Fox. The project will be delivered the 4 weeks leading up to the Alexandra Park fun day. The activity will take place in the local venues in the area over the 4 weeks leading up to the Alexandra park festival day on 28 th July. The carnival parade will start at City park on Alexandra Parade and then walk along to the park and finish at the stage area within the park. Groups will be given the opportunity to walk dressed in their themed costumes with musicians and bands and then showcase their group by taking a stall. The project links to the themes of diversity and uniting. The workshops will allow all members of our diverse community to access support to be involved in the festival event and carnival parade. The event will unite all aspects of the community including residents businesses local elected members and statutory and voluntary sector agencies. It’s an opportunity to allow a community to come together in a green space and showcase what services are in the area.